Ring News 24Boxing News Breaking Boxing NewsCould we see Jesse Hart Fighting at 175 Pounds Soon? Could we see Jesse Hart Fighting at 175 Pounds Soon? There is still a lot to like about Jessie Hart. 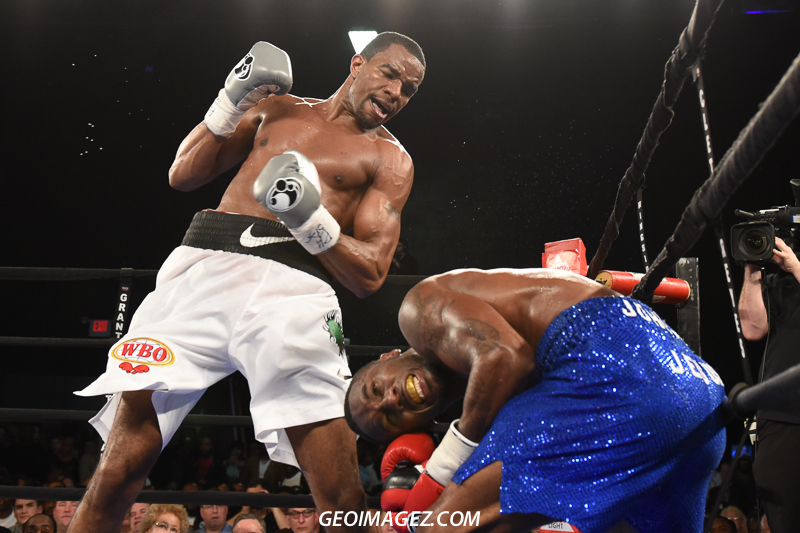 Hart, a once-beaten super middleweight prospect from Philadelphia, was one of the top prospects being signed in 2012, when it was announced that his fights would be promoted via Top Rank. Upon hitting the scene, as Hart made his successful pro debut on the Manny Pacquiao vs. Tim Bradley undercard in June of 2012. Hart let the world know that a new face of boxing was arriving, and he continued to rack up the victories. It wasn’t until Hart’s 23rd bout that he suffered his first and only loss, dropping a close unanimous decision to Gilberto Ramirez. Hart recovered from an early knockdown to make the match competitive and intriguing, yet he wasn’t able to capture the victory. Despite that loss, Hart gained a lot of respect from fans, fighters, and those in the media, for his brave effort. And Ramirez hasn’t escaped Hart’s thoughts either. “I gotta avenge that one!” Hart stated previously on his rivalry with the Mexican champion. Hart’s most recent fight saw him stop Thomas Awimbona in the first round, and Hart is now back on track and focused on his career. What makes Hart interesting is that he isn’t a person to hold back his thoughts at all. All one has to do is give him a follow on social media to get a sense of how intense he is. Hart obviously is referring to some haters in the comment below, which he recently posted to Instagram. Who knows who exactly Hart is referring to, but there’s no denying that the born-and-bred Philadelphia throwback is an interesting candidate amongst the big names at 168 pounds, including Ramirez, WBA champion George Groves, who just defeated Chris Eubank Jr., WBC champion David Benavidez, and IBF champion Caleb Truax. You have to figure that Hart would make for entertaining fights vs. any of those guys and he has a shot to be beat many of them as well. But it makes you wonder just how long Hart is going to be around the super middleweight division. Standing 6’3” tall, Hart is very large for the super middleweight division and has occasionally weighed about the limit. For example, in his last bout, vs. Awimbono, Hart weighed 173 1/4 pounds, which is five and 1/4 pounds over the limit. It makes you wonder if Hart will soon be campaigning at 175 pounds or if he can put his body back through a grueling regimen and get back down to 168 pounds. At light heavyweight, the waters are just as dangerous, with champions such as WBO champion Sergey Kovalev, WBA champion Dmitry Bivol, IBF champion Artur Beterbiev, and the winner of the May 19 clash between WBC champion Adonis Stevenson and former two-division champion Badou Jack. Imagining Hart against any of those guys is quite interesting. If anything, you got to give it to Hart for keeping it real online and stepping up the plate. We’ll be seeing much more of him. Will Haye reclaim bragging rights when he faces off with Bellew?